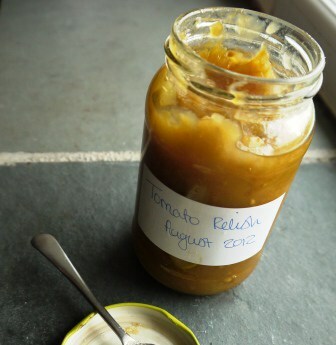 It is one of the nicest tomato based relishes I have ever had, sweet with a gentle spice kick. 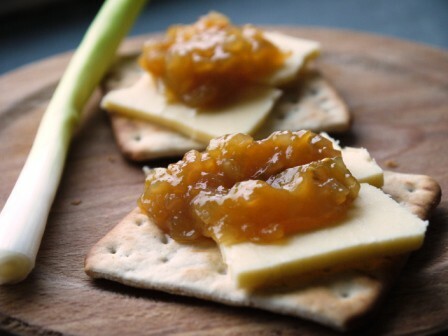 I tried it atop a cracker on its own which was OK, but when I snuck in some cheddar cheese too, it came alive in my mouth. I may well pay for eating this little bit of cheese, but I reckon it’ll be worth it! She said it was OK to share the recipe with you all, so here it is. And for those in the market for some more fun chutney recipes, how about this tempting spiced tomato and courgette chutney from Elizabeth’s Kitchen Diary? Pop everything from stage 1 into a large saucepan together, bring to the boil then simmer for an hour. Take off the heat, then add the cornflour and cider vinegar. Bring back to the boil and it's ready to can or jar. It sounds so simple, and I can vouch for how good it tastes! Just received this back from Julia, hope this helps! Truth is I’ve no idea!